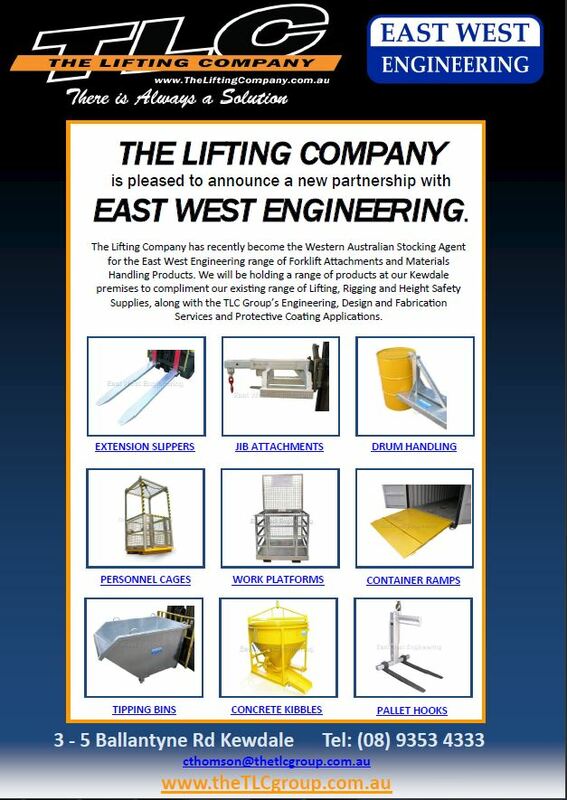 East West Engineering are pleased to announce the appointment of The Lifting Company as their Western Australian agent. The Lifting Company is a Western Australian owned and operated company providing specialised Lifting, Rigging, Height Safety, Material Handling products and services servicing WA’s construction, mining, industrial and engineering sectors. 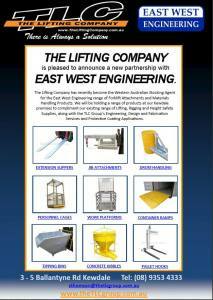 East West Engineering’s products will only further add to TLC’s already impressive product range and operations. East West Engineering’s General Manager Craig Gilmour states this appointment is part of the ongoing commitment to provide a superior service for all East West Engineering customers in WA. With their vast experience spanning product sales, repairs, testing and custom engineering, the trained staff at TLC are at hand to offer expert advice, product specifications and ongoing factory support for East West Engineering’s product range. TLC will stock a wide range of East West Engineering products at their Kewdale operations, ensuring fast supply of East West Engineering products in WA. See the East West range here or head over to East West Engineering website for the complete range.